Greece has thousands of islands out of which 227 are inhabited. They offer unmatched beaches, historical sites, festivals, mouth licking food and even adventure sports. Sifnos is one of them. 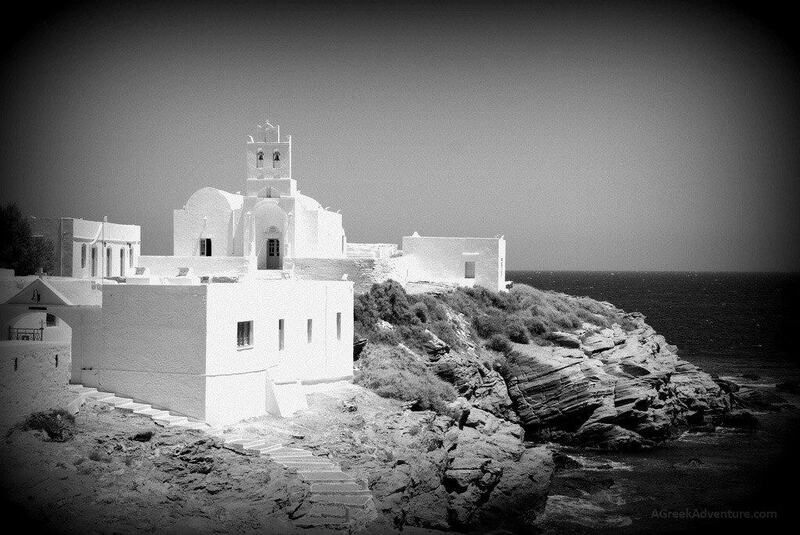 Sifnos is an island municipality in the Cyclades island group in Greece. Sifnos has everything from folklore, culture to beauty that will surely leave you mesmerized. There are three villages in Sifnos and the capital is called Apollonia. You would love Apollonia more because the capital is right on the crest of the island. During the nights, you would find the night sky slowly glimmering over Apollonia, a sight that leaves all awed. If you’re the explorer type, you would come across aromatic herbs here and there as well. Today, you will find Sifnos more popular because of pottery, weaving and cookery. Tourists will find the place easily accessible. You can have an exciting time exploring the underwater and Sifnos offers the perfect opportunity for snorkeling and sea diving. Swim around fishes, dolphins and seals and witness marine life of Greece in these organized dives. Looking for the perfect beach to go to? Sifnos offers not one but a number of beach options for you. There is the Vathi beach which is one of the family friendly beaches out there, known for its natural beauty. You can moor for a couple of nights or go hiking in an atmosphere you will find pretty serene. There is the Faros beach as well, which can be your choice if you want to go swimming. The Faros beach is normally calm and offers the picturesque beauty that you always dreamt of. If you’re thinking to do something different, you can even visit the Monastery. In fact, the Chrissopigi Monastery is one of the popular destinations out there. Situated close to Faros beach, a number of people have described it as a ‘church walking in the sea’ due to its location. The monastery mixes up with the sea, and you would have difficulty finding what’s what. 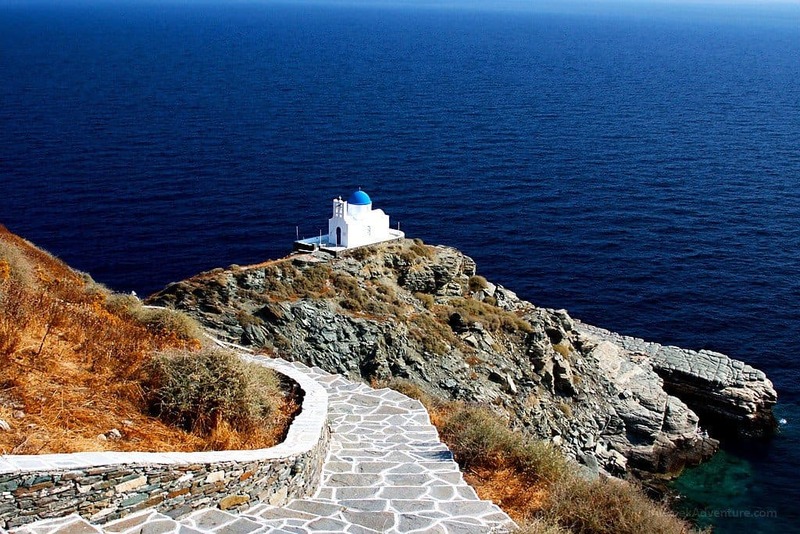 You can even visit the Church of the Seven Martyrs, that is in village Kastro, within Sifnos. The place is popular, and for tourists it can be one of the most scenic walking areas you can find. If you want to know more about the history of the place, do not forget to visit the Agios Andreas Acropolis and Museum. The museum may be slightly difficult to reach for the elderly as you would have to climb up the hill for that. You do have a road that you can go on your car for the most part but you still would have to walk a little bit. The museum has ruins preserved from ages gone and are a delight to watch. You would have your hiking adrenaline juice running by the time you reach the museum, so going out on an adventure might just be what you would want. Thankfully, Sifnos offers plenty of that too. Sifnos doesn’t just house beaches and churches, it also has a lot else to offer to younger hearts who are looking for an adventure without compromising on nature’s beauty. If you are seeking something more thrilling, try out windsurfing during summer as well. The necessary gears can be rented from the island itself. If you prefer relaxing activities, you can try cycling on the forested trails. The island is also perfect for exploring by foot and many have beautiful walking trails through natural forests and land forms. Sifnos is also a hot-spot for mountain sports enthusiasts. Try out your daring side by undertaking rock climbing, trekking or mountain biking. Beginners can go on to discover abandoned monasteries and ancient hermit’s shelters. Mountains and gorges make Sifnos a perfect destination for trekkers. You would love trekking on Sifnos as well. Mountain biking is also another popular option that might interest you. The Sifnos trails are the place to go if you want to experience mountain walking and trekking in its true form. There are signs everywhere along the train, so that you know that you will not get lost. Add to it the fact that there are a good number of trails to choose from as well. If you are lucky, you can find some fresh figs along the path too. Each trail offers a different view, so you might want to hike in for a few days to explore each. All the Greek islands are gifted with beaches but some stand apart for their uniqueness and one of the coolest things that you can do while in Sifnos though is Scuba diving and snorkeling. Head off to the Sifnos diving center if you want to indulge in some snorkeling. The instructors there will ensure that you have it right no matter how frightened you may be, we know scuba diving can be a little too exciting for you at first. Greek islands like Sifnos are famous for its waters and marine life and you might just see some exquisite fishes out there around you. There are a couple of bars and clubs as well in Sifnos that can help you relax. You can also visit the Folklore museum to know how people lived in the ages before. Take a few days to explore Sifnos, it isn’t a place that you can experience in just one single day. Photo credits: Stelios Lazakis, Nikita.